SAINT AUGUSTINE – The St. Augustine Humane Society has received more than 1,000 pounds of pet food from Pet Supermarket in St. Augustine. The food was provided by customers who donated dog and cat food items at the store. According to Carolyn Smith, St. Augustine Humane Society’s Executive Director, Pet Supermarket customers who purchase a few extra cans or bags of food can make the donations at check out. “Customers are aware that 100 per cent of the pet food donations can directly help the local community. 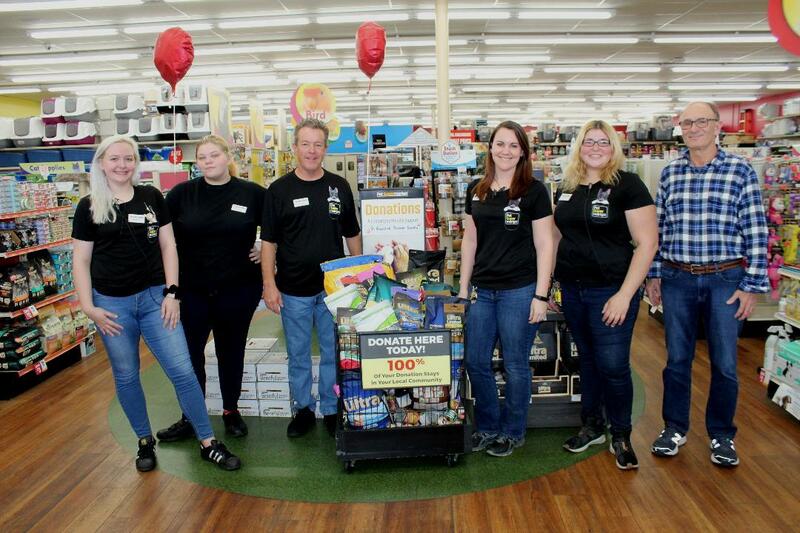 We appreciate Pet Supermarket management and staff who displayed our name at the top of their collection bin, so people know exactly who is receiving the donations,” said Smith. The St. Augustine Humane Society utilizes all donations to support its pet food bank which provides more than 1,600 pounds of pet food each month to pet owners in need. For more information about the pet food bank and to register, forms are available online at http://www.staughumane.org/images/Pet_food_Bank_Info.pdf and http://www.staughumane.org/images/Pet_food_bank_registration.pdf. To donate pet food or to volunteer, contact Mike Murphy at mmurphy@staughumane.org or call 904-829-2737 ext. 111.